On a recent visit to the Kruger National Park, Villiers and I were treated to some incredible sightings. Lions on a kill, cheetahs on the run, leopards in trees – that’s what springs to mind, right? We saw all three: lions, cheetahs, and leopards, but when we got home and had a look through the photos we realised our best shots, and the sightings we remember most fondly, were of giraffes. 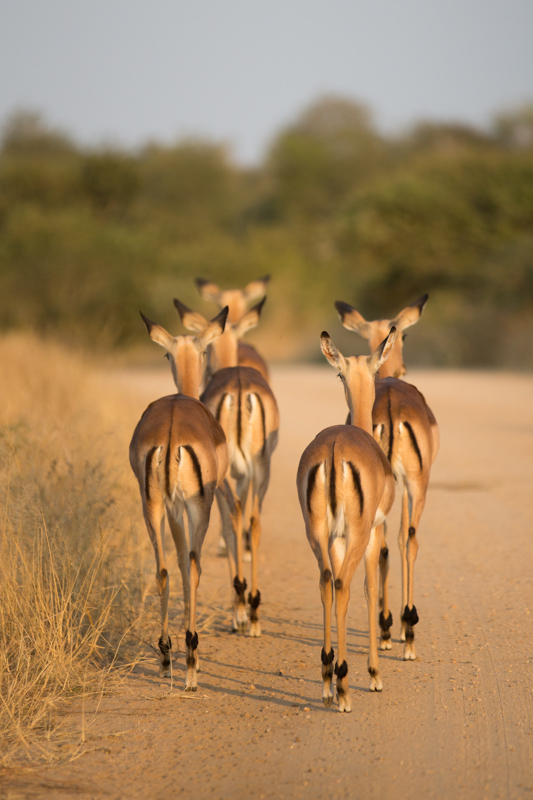 A group of impala ewes sense danger. A male zebra tests the air by displaying the flehmen response. There wasn’t anything unusual about the giraffes themselves – they weren’t climbing trees or doing a line dance – we had just decided to spend a little more time with them for a couple of mornings when other sightings were slow. The herds were relaxed (as Kruger’s general game tend to be) and we were content to sit while they milled around us. Traffic jam! 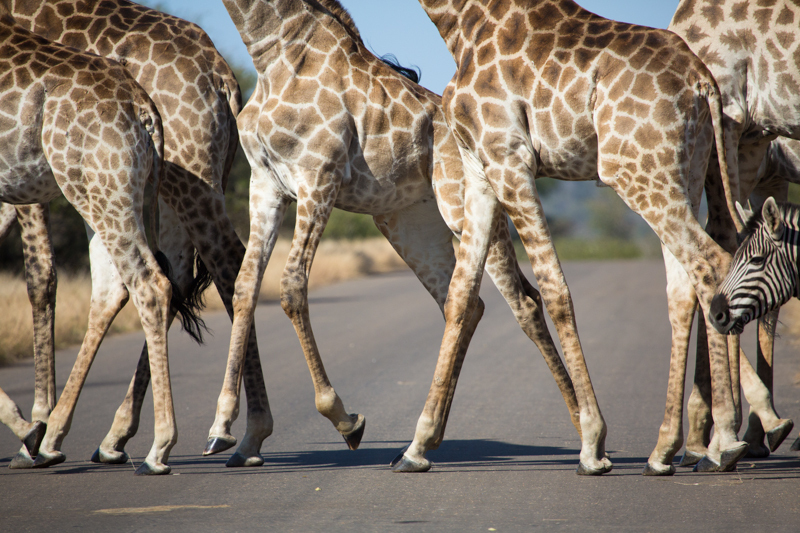 A herd of giraffes cross a road north of Tshokwane picnic site. It’s not often that you see so many giraffes so close together. There’s a lot you miss when you skirt a herd beside the road in a rush to find the next big cat, like the way they flick water off in a stream when they rise quickly from the awkward plié, then lick their lips to capture stray drops. Or the way a herd (or journey, if you’re my high school English teacher) can move in a semi-synchronised line of elegnance, or stand and stare at things with a wide-eyed look that, if it weren’t so obviously inquisitive, brings to mind laser beams and small piles of ash. With the right light the possibilities for fun and interesting moments and incredible photos are virtually unlimited. Thinking back to those giraffes made me realise (and here I run the risk of sounding like my grandmother) that we tend to take a lot of our general game for granted. 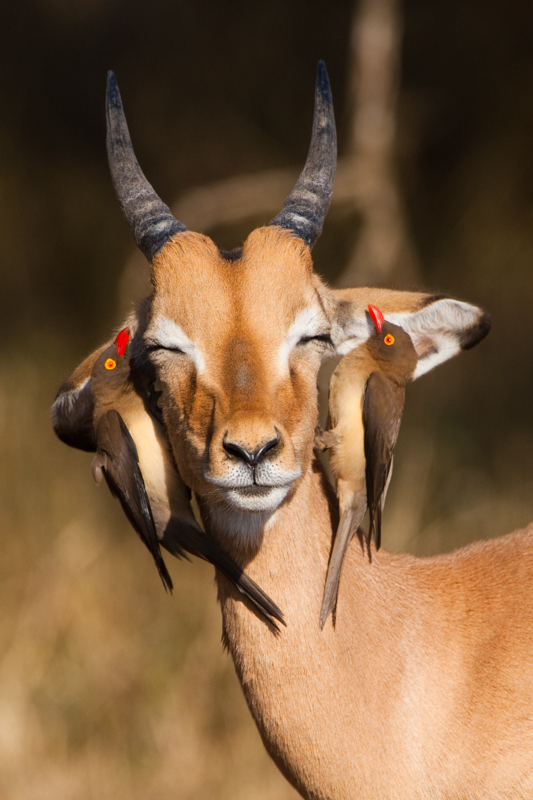 Two red-billed oxpeckers decorate a young impala ram’s face. 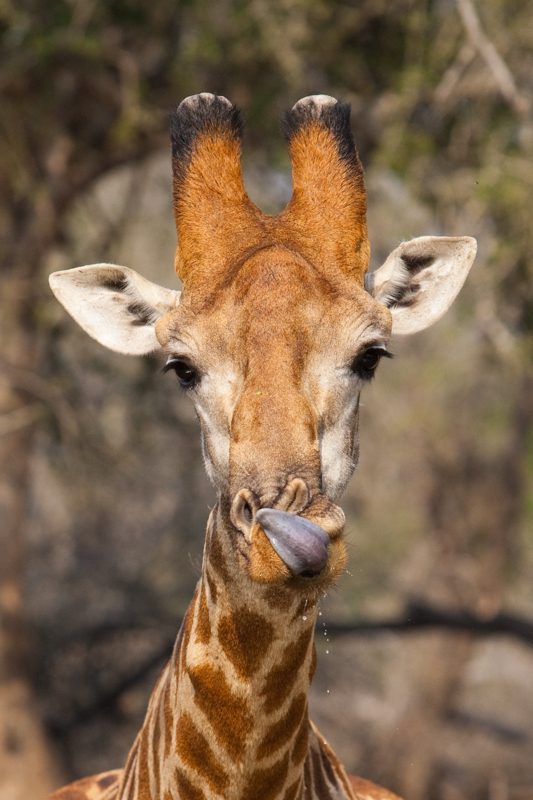 A giraffe bull licks his lips after quenching his thirst. 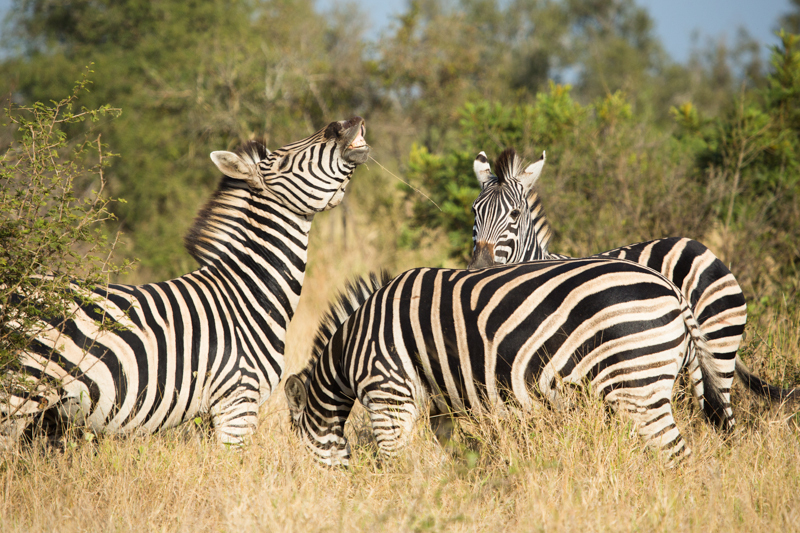 How many times have you driven past, or even through, a herd of impala, zebra or wildebeest? I’ve lost count of the times we have, and yet, looking back through old photos, some of my favourites are of zebras kicking and snorting, giving and receiving affectionate nuzzles and bites, and curling their lips back in their ridiculous-looking flehmen response. 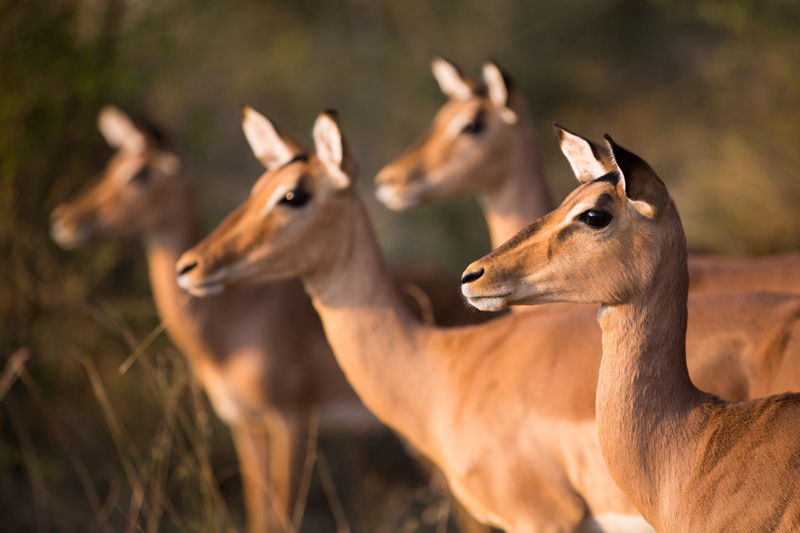 Impalas, with their beautiful faces and form, seem to be dismissed the most, and yet they’re the animals we can often get closest to. If you’ve got a couple of oxpeckers to add to the mix, all the better – they make fabulous props on just about anything. Buffalo also seem to be in the ‘drive-on’ category once they’ve been seen a couple of times, and yet a buffalo herd can be as entertaining and photogenic as a crowd in Time Square. A zebra grooming one of its lucky family members. 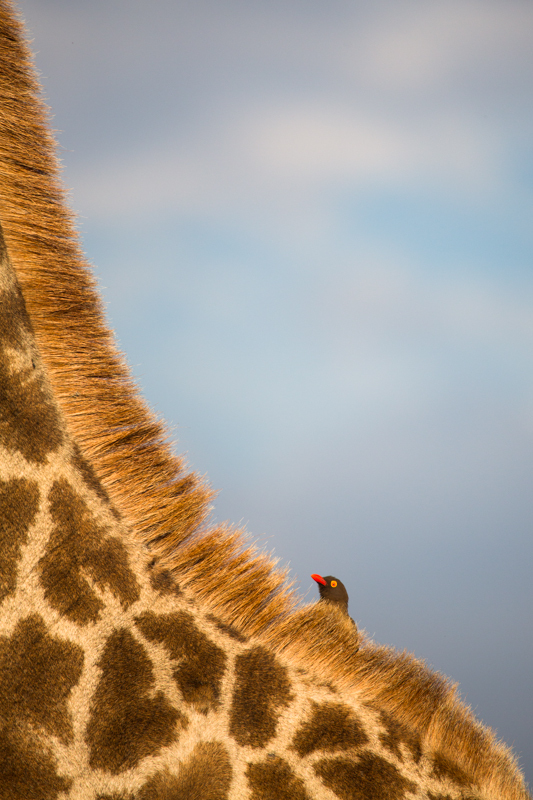 A red-billed oxpecker hides behind the mane of a colourful giraffe. Beyond the photography, sitting with the ‘usual’ stuff gives you the advantage of having a sighting all to yourself instead of jostling for position in line for a single cat. Also, there’s always something to see. They don’t spend all day digesting their meals under a tree, they eat, they sniff, they move, they jump, they listen, they chase – they interact, constantly. 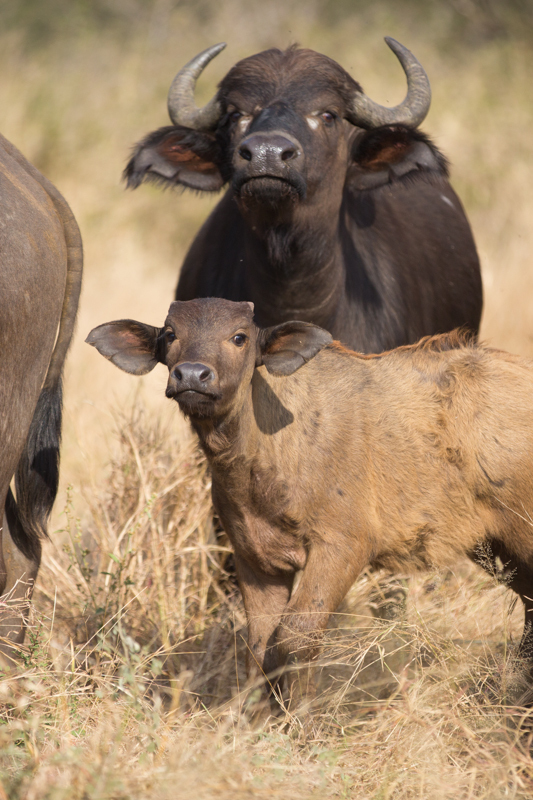 A very light buffalo calf eyes us suspiciously. I know we’re not likely to stop searching for those cats at every given opportunity, but the next time we’re out on safari we’re going to think twice about driving past a giraffe. 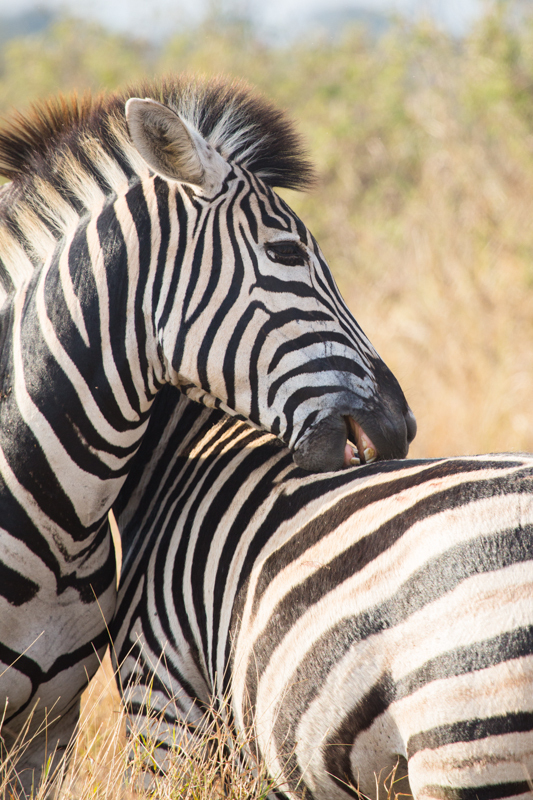 The post Giraffic Park – Making the most of Kruger appeared first on ODP Magazine. 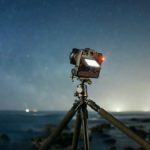 Villiers Steyn is an online photography teacher, wildlife photographer and travel writer based in Hoedspruit, South Africa. 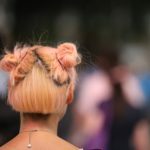 He presents courses on Udemy.com, leads photographic safaris for At Close Quarters and has had his work published in leading travel magazines, including go!, DriveOut, Getaway, Country Life and Travel Africa.